First and foremost, these aren't your mother's "hee-hee-hoo"s! Lamaze is about a whole lot more than breathing these days. That said, it may be a good idea for us to dust off the Lamaze Breathing of ages past and take a good look at what it's got to offer! Breath control is a very powerful tool for connecting the body and mind. It has been used in various ways by disciplines as diverse as Kung Fu, Tai Chi, Yoga, Christian monasticism, and Kabbalah to name a few. When one practices conscious control of the breath, one harnesses the powers of the mind to the reactions of the body and can in some ways "steer" the body toward health and calmness — this is something Bruce Lee and every Lamaze-trained birthing woman have in common! When in a moment of pain a woman's mind can take over instead of her body (through deep, slow, conscious breath control rather than the shallow, fast, instinctive breathing triggered by her nervous system), her attention goes into her breathing rather than her pain. She controls every breath, moving through the various Lamaze breath techniques as needed to address different levels of sensation. Not only does this work for pain, but tension and stress as well! Lamaze breathing works on two levels in the laboring woman: on a cognitive level and also on a physiological one. Cognitively, the attention required to do Lamaze breathing correctly necessarily steers the laboring woman's attention away from the pain her body is experiencing and instead to her breath — how it feels (cool going in, warm coming out), how deep it is (upper lungs? lower lungs/diaphragm? deep belly? ), how long it stays in her lungs before the exhalation (a slow pace or a faster one?) which can significantly affect her perception of the pain. Physiologically, as the breathing deepens with conscious control, oxygenation of the muscles increases. This brings more oxygen to the contracting uterine muscles, which help the contractions to become more powerful and efficient. As the breath slows, significant physiological changes take place as well. Most notably, the autonomic nervous system becomes more balanced — leading to a moderate heart rate, a healthy respiration rate, and improved circulation as blood pressure lowers. With Lamaze Breathing, the mind quite literally begins to "steer" the body toward a more comfortable labor. As the breathing techniques start to work on the mind and body, circulation and oxygenation of the body increase — this is excellent for labor progress as opposed to the constricted blood flow and restricted breathing that occurs when our bodies naturally react to stressful situations. 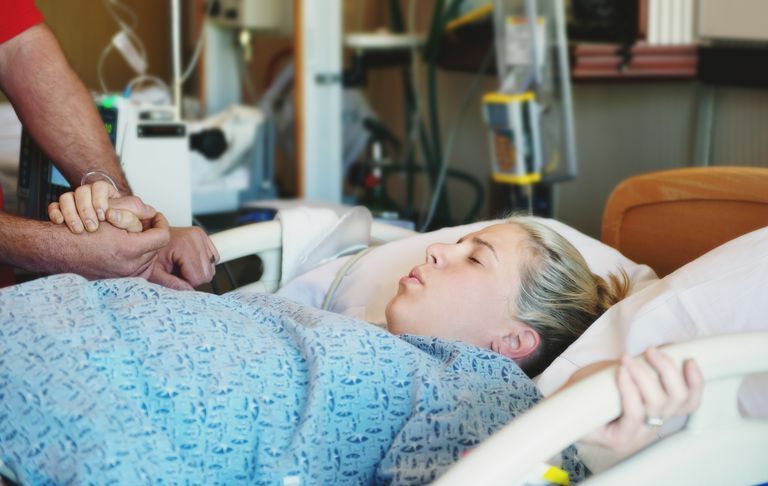 As our bodies release the physiological tensions brought on by anxiety, there is room to work with a much wider range of comfort measures during labor than there would be otherwise, quite possibly leading to a healthier birth.